Rubina Dilaik and Abhinav Shukla tied the knot in the most beautiful fairytale ceremony in Shimla! 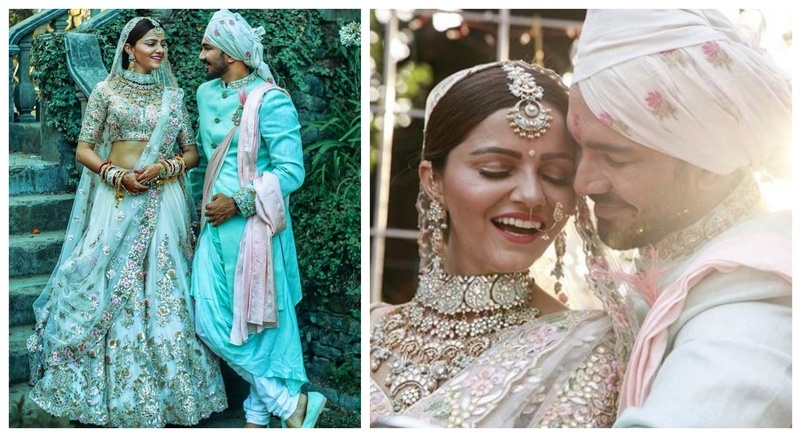 Tv actors Rubina Dilaik and Abhinav Shukla recently tied the knot in a beautiful close-knit ceremony and obv it broke the internet! They decided to get hitched in their palatial house in Shimla, which was beautifully adorned with majestic flower adornments. Rubina looked dreamy in an ivory lehenga-skirt paired with a multi-coloured embellished blouse and a sheer net dupatta. As for Abhinav, he complimented his beloved in a pastel blue sherwani, looking his dapper self! Rubina-Abhinav followed both Himachali and Punjabi rituals for their wedding which saw the presence of family members and close friends. “Our wedding, especially the rituals we’re doing with friends and family, that’s absolutely a personal and a private affair and we love to keep it that way. We are not looking at publicising or putting them on social media and make it a public affair,” the couple was quoted as saying in an interview. Well, here's wishing these two love birds a very happy married life!